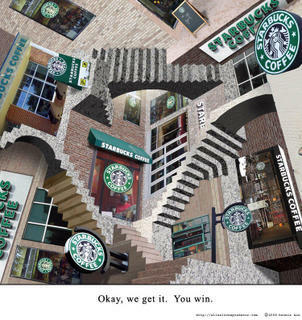 escher's turned Starbucks. . Wallpaper and background images in the Unbelievable club tagged: optical illusion art photography escher starbucks.